In the first quarter of 2017, CARB reported the first quarter of net deficits generated in the program. As the carbon intensity standards become more stringent, the demand for LCFS credits will increase significantly in 2018 and continue in to 2019 and 2020. The credit bank that has built up will be drawn down, causing the price of LCFS credits to rise. 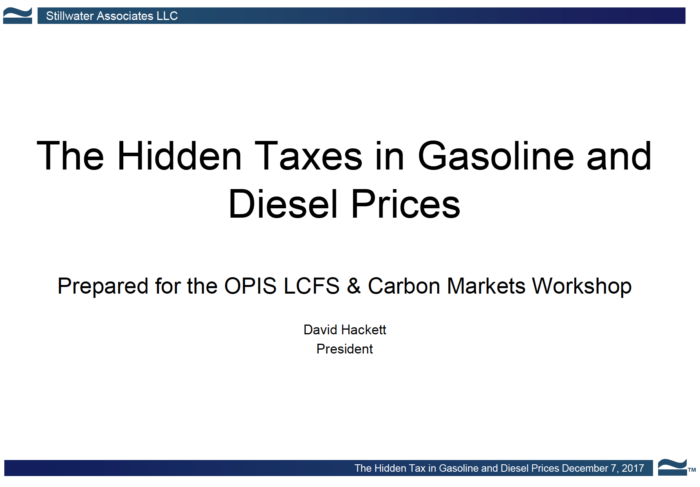 Dave Hackett shared Stillwater Associates’ insights into the LCFS credit market, including an overview of the contribution of low carbon intensity products and an outlook for credit availability and pricing into the future in this presentation at the OPIS LCFS and Carbon Markets Workshop on December 7, 2017. You can download a copy of his presentation here.